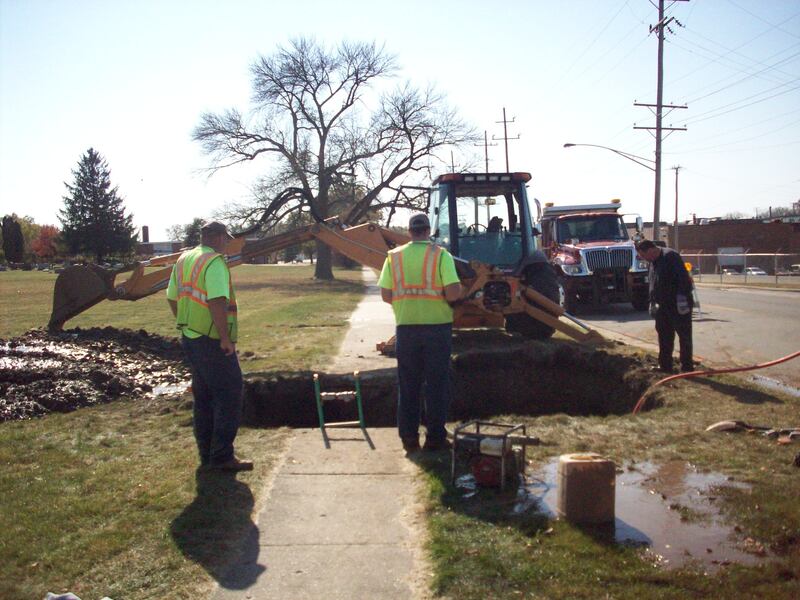 Residents are encouraged to immediately contact Village personnel if they suspect a water main break. Please contact the public works department during regular business hours (Monday through Friday, 7:00 am-3:30 pm) at 630/896-9241; during non-business hours (weekdays 3:30 pm-7:00 am, weekends and holidays) contact the Montgomery Police Department’s non-emergency number at 630-897-8707, ext. 1. Signs of a possible main break include unusual amounts of water flowing down the road gutter, an unusually wet area in a yard or a significant drop in water pressure. Once repaired and temporarily filled, break sites are patched when warm weather returns.